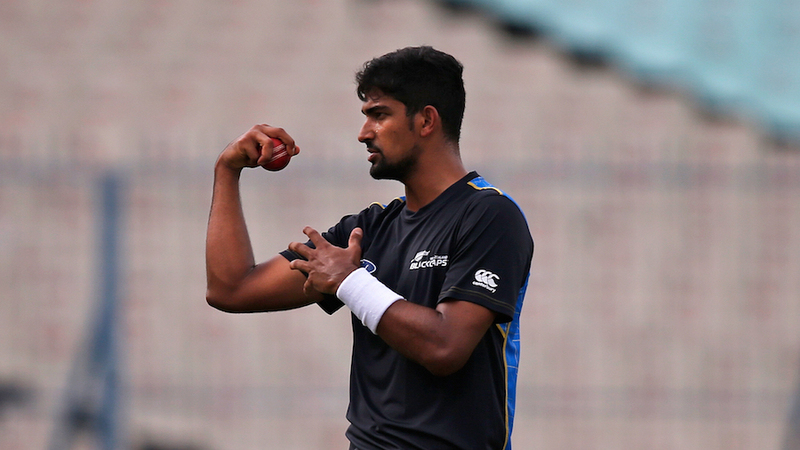 Three years after being a key part of New Zealand's three-pronged attack that dramatically turned the tables on India in Nagpur, legspinner Ish Sodhi is relishing the possibility of featuring in his first 50-over World Cup. "I think it [World Cup] is the best white-ball tournament," Sodhi told ESPNcricinfo. "Being quite a tragic and historian of the game, I'd really enjoy the chance and opportunity to play the World Cup. I am still hoping for the opportunity." Sodhi had gone wicketless in the two ODIs he played against India, but was more impressive against Sri Lanka earlier this year, emerging as the top wicket-taker, with eight scalps in three matches at an economy rate of 5.16. "It was fantastic to play that full series against Sri Lanka, and contribute to a few wins," Sodhi says. "It was nice bowling through the middle period, knowing there was some runs on the board. "You can be relatively aggressive while still trying to keep the run rate down. I think your key job is to get wickets. It is definitely a role I really enjoyed playing and to be able to contribute was really special." However, Sodhi says that he can't be as attacking against sides like England and India, who are among the favourites in the World Cup. Against these sides, he is open to playing a more defensive role to force errors from the batsmen. "Interestingly, all of [England batsmen] are 360-degree players," Sodhi says. "They reverse-sweep, they sweep quite hard. They use their feet. You have to keep things simple and almost allow the batsmen to make mistakes, as opposed to trying to set them up. Adil Rashid sometimes bats at No. 11, so they bat all the way down, and they can be hard to contain. "You have to trust that you get something out of the wicket [against India] even though sometimes the pitches are quite flat. You have to bowl with an aggressive mindset. They are really good at the tempo of the innings. They can recognise the threat and feed off other options that aren't bowling as well that day. It is important to recognise how they are looking to play you, and then make the plan. You have to think on your feet against great players." Legspinners have become the flavour of the season, with Rashid Khan, Sandeep Lamichhane and Yuzvendra Chahal are all making heads turn in the IPL, various other T20 leagues as well as international cricket. So, what makes legspinners so effective these days? "Legspinners have become such a huge part of T20 cricket," Sodhi says. "When it first came out, a lot of people said it was the death of spin bowling. I think the more revolutions you put to the ball, it becomes harder to hit. I think that's when legspinners are becoming important weapons for teams around the world. "It is amazing to see so many legspinners in white-ball cricket but a lot of them are bowling in really tough situations against destructive batsmen. To be fair, I didn't know that legspin would become so important in white-ball cricket but obviously it is pretty prevalent now." Sodhi himself has grown as a T20 bowler, and he credits Scott Styris, his former captain at Northern Districts, for having used him as an attacking option. "I played alongside Scott Styris for Northern Districts, when I first started playing T20s," he says. "He was my first captain who started using me as an aggressive option. I didn't expect it in the first couple of years of my career but getting confidence from a guy who knows so much about T20 cricket, I think it held me in good stead." Having played only six games for Rajasthan Royals in the side's run to the playoffs in IPL 2018, Sodhi is looking forward to getting more game time this season. Known for his great cricket intellect among his peers, Sodhi believes that bowling to top batsmen in front of big crowds on batting-friendly pitches in the IPL will tune him up well for the World Cup. However, he is wary of dew that might hinder his bowling and force him to dig deep into his reserves. "It [IPL] is a genuinely high-pressure environment as you play against the best players in the world, in front of massive crowds and on really good wickets in India," Sodhi says. "There might be dew around as well so you have to learn new skills and not just rely on spinning the ball. The IPL will be a great chance to show loyalty to Royals that they have shown me in the last couple of years. I really enjoy playing cricket in India, and in high-pressure situations. It helps you grow as a player. If I get a chance to play in the World Cup, I can use these experiences in my favour." Sodhi has also worked with the likes of Anil Kumble, Shane Warne and Stuart MacGill in the past few years in a bid to improve his game further. "I think what those guys have in common is that they constantly talk about getting wickets," Sodhi says. "Wickets slow run rates down and help you win games. I think it is important, in this day and age, to have that attacking mindset every time you bowl." Several other spinners are focusing on darting the ball flatter and quicker these days, but Sodhi says he will stick to his strengths: toss the ball up and search for extra bounce. "I think naturally I am a little bit slower than most legspinners these days," he says. "I rely heavily on bounce for the majority of the time. I think there's definitely a place for flight. I think to progress in ODI cricket, you have to be able to recognise the time to do that. I want to improve on this in the coming couple of years."